The Z subwoofer is based on the same highly advanced technology as the Z full range loudspeakers to create seamlessly integrated musical perfection – fast, detailed and extended bass with tremendous impact and clarity. Combining high fidelity and high output in a compact, shallow design, the Z subwoofer offers virtually unlimited installation flexibility. As a result, the placement of the Z subwoofer can be optimized for sound quality and bass reinforcement, unlike conventional subwoofers that must be installed simply where they physically fit. Balance, speed, power and bass extension – the ultimate combination for low-frequency nirvana. 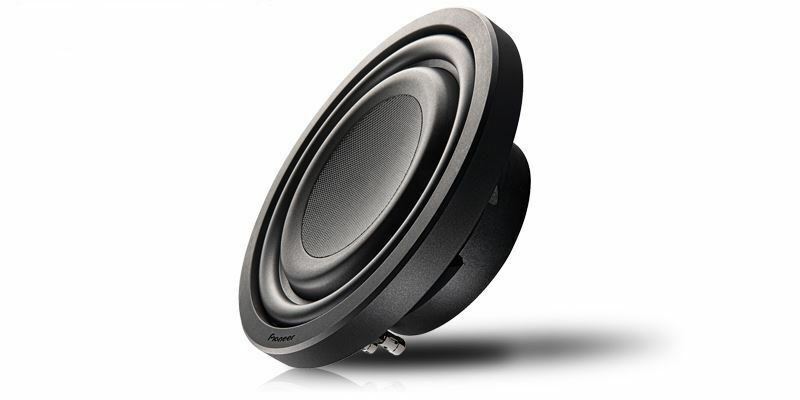 Even in the sub-bass region, Hi-Res Audio recordings contain significantly more data compared to a standard CD recording and require a subwoofer that is capable of extremely high dynamic range and low distortion that integrates smoothly with the the mid- and high-frequency speakers. The Z subwoofers are designed to take full advantage of Hi-Res Audio recordings, with wide dynamics, extended frequency response and extraordinarily accurate and detailed bass. Subwoofers require an extremely strong basket that holds the cone, suspension and motor structure together in perfect alignment even during high excursions at low frequencies. Traditional subwoofers require large enclosures that can be challenging to install seamlessly. The Z subwoofer features a shallow basket for installation flexibility, a low Q design for high performance in small enclosures, an oversized cone (15% larger when compared to a conventional 10" subwoofer) and a motor structure with a powerful 67.7 oz. magnet, all of which combine to produce fast, detailed and extended bass with tremendous impact and clarity. Twaron is a synthetic aramid fiber that is very strong, heat resistant and rigid when woven into a cloth material. Subwoofer cones created with Twaron are rigid and low mass with excellent damping characteristics. Strength and rigidity are important to maintain cone shape during challenging bass notes, while damping is critical to improving the responsiveness and signal accuracy. The low mass of an aramid fiber cone improves both sensitivity and the speed of the Z subwoofer, increasing output and power handling.